Safer Futures is a practice and partnership model that benefits survivors of intimate partner violence. This model demonstrates how community-based, non-clinical domestic and sexual violence (D/SV) intervention advocates can better serve survivors of intimate partner violence (IPV) in partnership with health care providers and child welfare staff. Such partnerships strengthen services for survivors of IPV in various settings including, but not limited to, public health departments, Federally Qualified Health Centers, primary care clinics, hospitals, and child welfare offices. The Safer Futures model originated with Oregon’s Pregnancy Assistance Funds (PAF) Grant ». 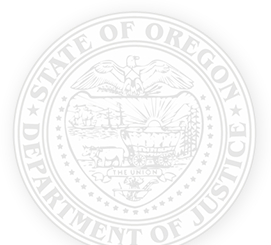 This grant was administered by the Oregon Department of Justice from August 1, 2010 to September 30, 2017. Safer Futures supports on-site advocacy interventions in a variety of settings for survivors of intimate partner violence. Safer Futures and the Oregon Department of Justice supported two cohorts during its second grant period: one focused in health care and one focused in child welfare. Capacity building to sustain the Safer Futures model beyond the grant funding. Safer Futures was supported by PAF Grant #1SP1AH000016 and Grant #1SP1AH000019 from the Office of Adolescent Health ». Contents are solely the responsibility of the authors and do not necessarily represent the official views of the Department of Health and Human Services or the Office of Adolescent Health.